Number 41 Horton Place is what many refer to as Colombo’s creative nerve centre, with its unmistakably stark and minimalist facade. 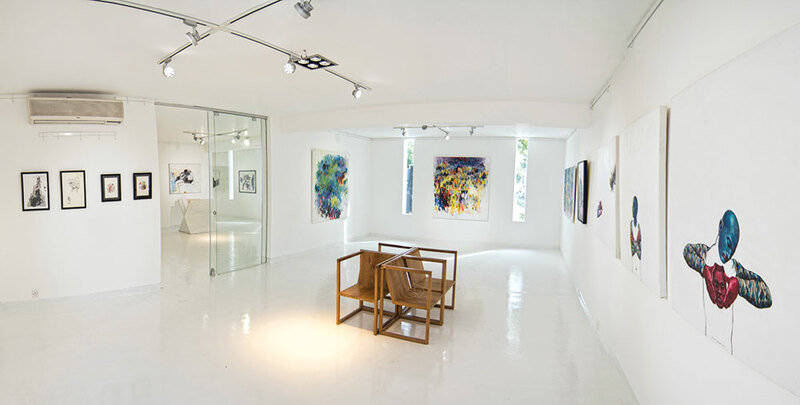 The lower level of the building houses PR, the capital’s hottest multi-label store, run by Annika Fernando, while the mezzanine is occupied by her sister, Saskia Fernando’s eponymous gallery. To say that the sisters have played an important role in putting the island- nation’s fashion, design and art on the map would not be doing them justice. They are, after all, the gorgeous daughters of the legendary Udayshanth Fernando, who defined the modern Sri Lankan aesthetic with his iconic home store Paradise Road, as well as Colombo’s most luxurious boutique hotel, Tintagel. The three-decade-old family-run empire also includes the uber-chic Gallery Cafe in Colombo, designed by Geoffrey Bawa, as well as another Bawa masterpiece, Villa Bentota. Thus begins a freewheeling chat about their work in fashion, art and design…. In the burgeoning local fashion space, Annika plays an important role. 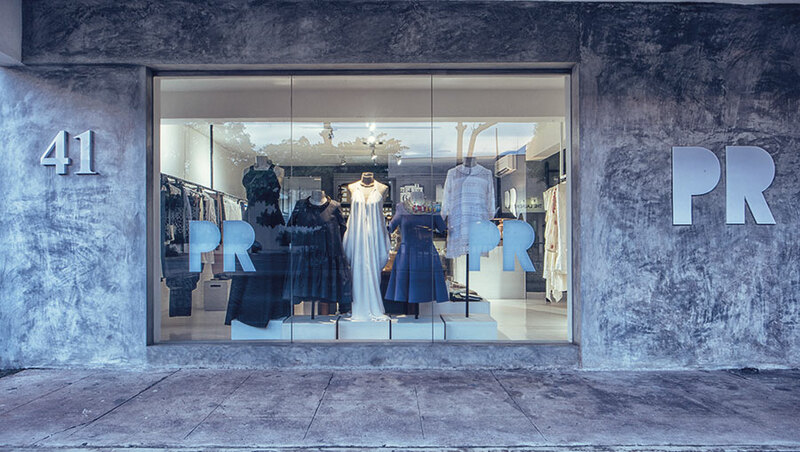 Her boutique PR, a word-play on her family-run store Paradise Road, is a showcase of the country’s finest designers, both up-and-coming and established. In addition, the store, which opened in 2013, also stocks her own label Maus, along with a selection of jewellery and natural bath products. The Sri Lankan industry is small, and PR fills in a lacuna by providing retail opportunities for local brands. Sustainable fashion happens to be a leitmotif of PR’s offering, especially with Sri Lanka being one of the frontrunners in that respect. “It is just something that is taken for granted. Here, almost all our labels are sustainable. I think, around the world, it is a great story for products, but here, most of them are, in some way ethical and green,” she says. Annika’s own sensibilities manifest themselves in the products on display — minimalist, earthy, even androgynous, devoid of embellishment. This is explained by the fact that Annika, a mother of one, does all the visual merchandising herself and chooses every single product in the store. 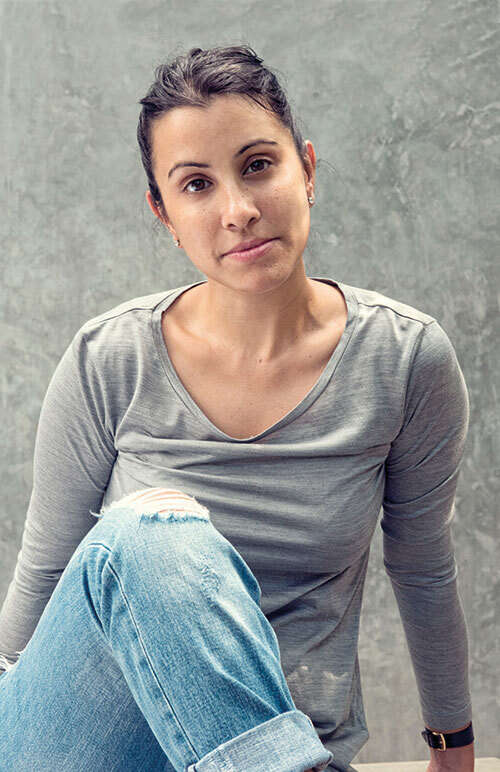 Not only is she helping to promote Indian labels through her store, she is working hard to bring Sri Lankan designers across the border as well. Her recent collaboration with Bungalow 8 in Mumbai resulted in a pop-up where she brought in six designers, giving them a larger platform. Looking back at her family background, Annika maintains that she was never pushed to be in the creative field. “When I went to university, my father did not want me to study design. However, I remember being very involved in the interiors of the house, or working in the store.” She cultivated a taste for retail as a girl and was always playing shop, creating special packaging and labels for the goods in her room. She went on to start an interior design consultancy, where she practised for a few years. “While PR was being set up, I decided to launch my label Maus, as well. We have such a great garment manufacturing infrastructure here so it makes it easier. Today, we do two or three collections a year and now we even have a line of organic swimwear.” Maus collections are interestingly named ‘summer, monsoon and fete’ with no reference to fall-winter whatsoever. I climb up one flight of stairs to Saskia Fernando Gallery. Over the past few years, Saskia has earned a reputation as one of the country’s most respected gallerists and a regular on the international art circuit. Her venture represents 22 artists “who are Sri Lankan and/or living in Sri Lanka. In addition to her gallery, Saskia’s jewellery label Papillon du Thé is stocked at PR (and more recently, at Bungalow 8 in Mumbai). Saskia would make jewellery for her mother and sister, till one day, Annika gave her the idea to start her own line. “To create my handmade jewellery, I work with a lot of small workshops. They are one-of-a-kind pieces that make it more personal,” she says.